Back in July of this year, there was a discovery made in Spain that had the whole world incredibly excited. What was found was a Titanic plaque that had not been seen since the sinking of the ship, and students of the ship were excited to see this remarkable piece of history. 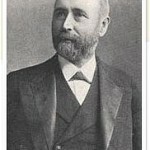 The artifact, a plaque that commemorated the launching of the ship, was last seen in the office of Lord Pirrie, the chairman of Harland & Wolff back in 1912. However, what happened to the plaque from 1912 until it was rediscovered in 2003, is a mystery. The plaque was in the hands of an art dealer, who had inherited it from his grandfather 12 years earlier, and then offered it to the Spanish Titanic Foundation. The plaque was originally scheduled to tour in 2016, but now that may all change thanks to one man who claims that this long lost artifact is fake. 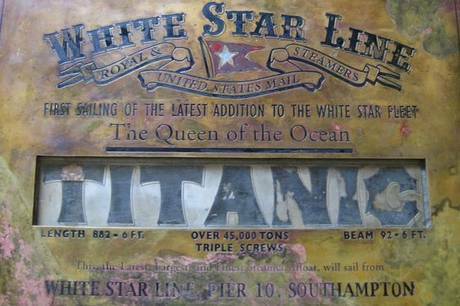 The plaque found over the summer, is supposed to tour the world as a Titanic artifact in 2016, but Van Dalen’s declaration has Titanic enthusiasts wondering if the item will be pulled from its touring schedule or not. However, despite what Val Dalen has come up with, the artifact is set to tour as scheduled. The decision to still show this plaque has students of the Titanic wondering, is David Van Dalen really sure that this artifact is not genuine? The answer is simple, the fonts that are used on the plaque itself to create the words. According to Van Dalen, the plaque has four different font types that could not have possibly existed before 1915. 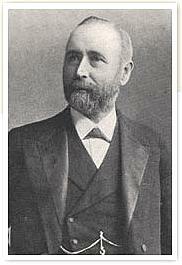 Van Dalen’s research has concluded that the font types used on the plaque were created between 1915 and 1989. Also, the lettering on the plaque appears to be distorted, and while some might mistake that for age, the fact is that Van Dalen claims these distorted lines of texts could only be created by a computer. So when exactly was this plaque made? Sometime in the 1990s, according to Van Dalen, “this so-called important resurfaced relic proves to be fakery beyond any doubt, not priceless but virtually worthless, fabricated and fake-aged by an unknown maker using computer fonts randomly and unwittingly like an ignorant child.” What other evidence supports Van Dalen’s claim? 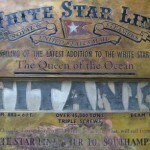 The plaque was created, and presented, to Lord Pirrie before Titanic left Southampton, but the images used on it are from a time when the ship had already left England, which was one day after Pirrie was given the plaque. While it is true that David Van Dalen is not a scientist, it is unknown if he did perform any kind of testing on the plaque. However, perhaps the reason why the plaque is still on the exhibit tour is because there is no scientific evidence to back up his claim that the artifact is not genuine. However, the question all students of the Titanic have to ask themselves is, are they willing to go see an artifact that may indeed by a 1990′s reproduction? These days, the artifacts from the Titanic have drawn thousands of people to see them, and given that, should Jesus Ferriero, the president of the Titanic Foundation, have the artifact tested to see whether Van Dalen’s claims are true or not? Will Van Dalen’s declaration that the plaque is a fake effect the ticket sales for the exhibit?